Sri Kaleshwara Temple, History, Timings, Lord Shiva Temple. Kaleshwaram is located in Mahadevpur, Bhupalpally district, Telangana, India. Kaleshwaram is the main point for the Godavari and Pranahita rivers. It is 115 km from the Warangal district, 277 km distance from the Hyderabad city, 125 km from the Karimnagar, 90 km from the Godavarikhani 70 km distance from the Manthani and Parkal. This kaleshwaram is also known as southern India Kashi and second Kashi. It is only 16 kms distance from the Sironcha, Maharashtra state. A long time ago legends declare that Vaishya performed an Abhishekam with the 100’s of milk pots to the Lord Kaleshwara Mukteswara and that milk spread in the Godavari and Pranahita sangamam. The Kaleshwara Mukteswara is a historical temple. The temple is believed that it is one of the temples in 3 lord Shiva temples of Trilinga Desham. Remaining 2 temples are located in Srishailam and Draksharamam. This temple is famous for 2 lingas that found on a single base and those lingas are named as Lord Yama and Lord Shiva. 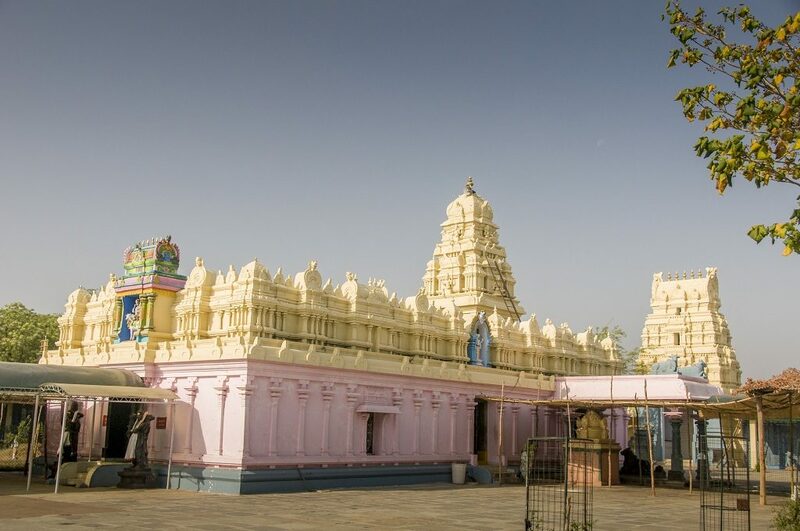 Commonly called as a Kaleshwara Mukteswara Swamy Temple, Kaleshwaram. This Religious place can visit the tourists in the month of November 16 to December 15. The Holy baths are held from 6 to 17 December. After the bath, first, visit the Lord Ganesha temple and they pray to the Lord Yama and then pray to Lord Shiva. The two Lingas of Lord Shiva and Lord Yama. There is no entry fee to visit the temple. But devotees need to buy the Abhishekam tickets of worth 300/- and the price of Pulihora prasadam is 5/- and LAddu price is 20/-. Reopens at 3:00 PM to 9:00 PM. Kaleshwaram temple is the place of Triveni Sangamam of the Telangana state. At the Godavari River, bath ghats are available. Godavari river flows from the other direction of the Pranahita river. Boating facility also available in the ghat. For every 12 years, the Pushkara snanam happens at the Kaleshwaram. From Karimnagar, Manthani, and Warangal to Kaleshwaram many government bus facilities are available. Tourists and devotees can have many rest places are available. TTD is providing the best room services. Here you can get very good accommodation facilities. Triveni Sangamam of the Pranahita, Saraswathi and Godavari Rivers.